It's the small gestures that mean the most when cheering up your friends and family. 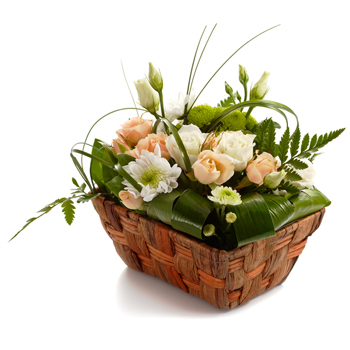 We have put together a basket that will cheer up just about anyone. Your recipient will receive classic white spray Lisianthus, green Chrysanthemums, pink spray Roses, and so much more. Send a surprise, welcome a neighbor, or brighten up your desk with Comfort.